Ramadan is the most sacred month of the year in Islamic culture. It is a time for sacrifice and renunciation as well as a period of reflection and spiritual growth. With Muslims around the world fasting simultaneously while bringing family and friends together, it is also symbolizes powerful unity. In welcoming this long-awaited month, The Dharmawangsa is set to celebrate the divine feast of Ramadan with selections of authentic dining and luxurious accommodation experience like no other. Share an unforgettable Iftar moment with an unparalleled Ramadan spirit over a spread of delectable Indonesian and International cuisines presented on the buffet and food stations. The menu highlights set to take guests on a culinary journey across the archipelago featuring ikan asam padeh, dendeng balado and beef rendang from West Sumatra; ayam tuturuga, daging garorica and udang bakar saus dabu-dabu from South Sulawesi; tahu tek and tahu campur from East Java, nasi jamblang and empal gentong from Coastal Java and many more. While from the carving station, the culinary team presents mouthwatering rendang glazed rib eye beef, kambing guling and traditional braised rib eye. Price at Rp 595,000++ per person (adult) and Rp 395,000++ per person (4-11 years old child), inclusive of ta’jil, hot tea and Ramadan special drink. 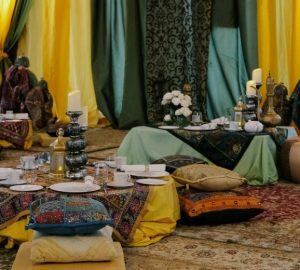 For the month-long series of daily Iftars, the guests are invited to blend in the flavours, aromas and scenes of the Marrakech. 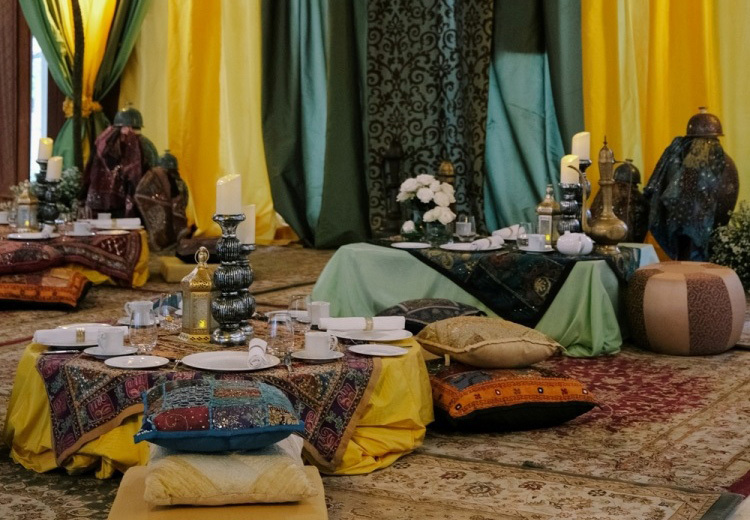 The modern function room will be transformed into a Moroccan Ramadan majlis, where an enticing Iftar buffet will be served and Arabic pipe music will be played in the background. The buffet will features an array of Middle Eastern, Indonesian and International delicacies such as assorted cold mezze, shish tawook (grilled chicken skewer), quzzy (slow cooking lamb served with roasted nuts, vegetables and Arabic rice), chicken mandi, lamb kebuli, shawarma live station, iga panggang madu, as well as the signature giant lobster Bunaken and nasi liwet keprabon. Price at Rp 695,000++ per person (adult) and Rp 495,000++ per person (4-11 years old child), inclusive of coffee and tea. With the expert team that has been creating great events for more than 21 years; the team of ‘Chef at Your Place’ provides bespoke events at the outside private venue of your choice throughout the holy month and on the day of Eid al-Fitr. Price starting from Rp 695,000++ per person for Ramadan Iftar and Rp 195,000++ per portion for the Indonesian specialties stall on Eid al-Fitr day. The venues at The Dharmawangsa provide the exclusivity where business partners and colleagues can savour in an authentic dining experience. The exemplary culinary and banquet services culminate tailor-made menus with the Indonesian hospitality providing guests with the most memorable experiences. Price starting from Rp 585,000++ per person. Cherish the holy month of Ramadan and celebrate the auspicious moment over Eid al-Fitr holiday with our exceptional room program offering suhoor or breakfast for 2 persons, ta’jil at Majapahit Lounge, 10% savings on F&B, Spa and Laundry.  Ramadan Room Programme starting from Rp. 2,950,000++ per night, valid from May 5th to 31st, 2019.  Eid al-Fitr Room Programme starting from Rp 2,750,000++ per night, valid from June 14th to 30th, 2019.